Cognac is a brandy produced in the Cognac region of France. It is the most famous brandy in the world and some consider it to be the best as well (though some Armagnac drinkers would disagree). Grapes used must be mostly Ugni Blanc (Trebbiano in Italy), Folle Blanche, and/or Colombard. Other grapes can be added in greater quantities but the Cognac will not be a cru. Must be distilled twice using copper alembic stills. Must be aged in French oak for a minimum of two years. The grapes are pressed and the juice is fermented into an uninspiring acidic white wine. This wine is awful for drinking but excels when distilled and aged. Distillation produces an eau de vie of about 140 proof which is then aged in oak barrels. There are different grades used to designate how old a Cognac is. In general these are good measures of the relative quality and complexity of Cognacs within a brand. VS or Very Special requires the youngest Cognac in the blend to be at least two years old. VSOP or Very Superior Old Pale means the youngest brandy in the blend is at least four years old though the average is quite a bit older. XO or Extra Old Cognac uses brandies in the blend that are six years or older with most being much older. As of April 1, 2016 this lower limit will be raised to ten years. Borderies - the smallest region producing a very floral, soft, feminine Cognac usually starting at around $100 a bottle. These Cognacs are usually just labeled "Borderies" and have age and quality similar to XO Cognacs. Grand Champagne - producing big, full-bodies Cognacs with lots of concentration that linger on the palate. Petite Champagne - similar to Grand Champagne but slightly softer with not quite as much concentration. Fine Champagne - not a region but a designation of a Grand Champagne/Petite Champagne blend with at least 50% being Grand Champagne. Fins Bois - fruity character but not enough structure to age for long - used often in blending. Bons Bois, Bois Ordinaries - two regions that produce lower end Cognacs that are usually blended with their more highly regarded neighbors. After aging the Cognac is removed from the barrel and either blended or stored for future blending. Almost all Cognac houses blend a variety of Cognacs (usually dozens and sometimes hundreds) to achieve consistency and complexity in the brands. This is why a Camus VSOP should taste almost the same as it did 40 years ago. Many famous cocktails and drink recipes feature Cognac in a starring role. I started out using cheap American brandies in these drink recipes (I was a poor college student). I have since moved to Cognac and a lot of these drinks have really improved as a result. Take for example the Brandy Crusta. This is a small drink served in a small glass that consists of mostly brandy. So it really helps if the brandy is a good one and VS level Cognac is the minimum here with VSOP being desirable. The Sidecar is another famous Cognac-based cocktail. Since there are more modifying ingredients, a VS Cognac is sufficient in this drink. 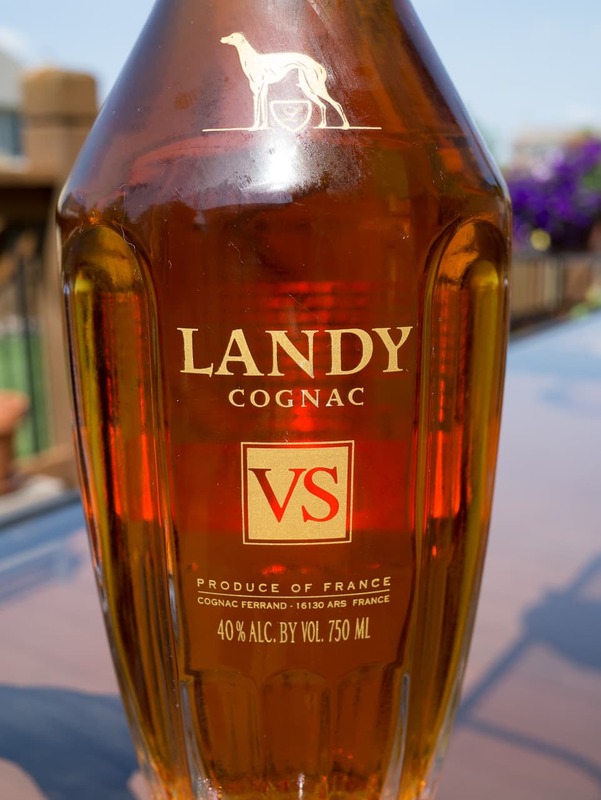 As far as sipping Cognac neat I have found you probably want to use a VSOP or better Cognac. The VS brandies can be a bit sharp and dull by themselves but as always it depends on the producer and what flavor profile you're after. I also encourage you to go off the beaten path in your search for good Cognacs. This spirit category is dominated by the big names (Martell, Remy Martin, Courvosier, and Hennessey) but there are some great smaller producers. Maison Surrenne makes a great Petite Champagne Cognac that is fruity and floral. Also I have been recently introduced to the entire line (at least up to XO and Borderies) from Camus and I was impressed. Camus just became available in the Midwest United States. They claim to not use caramel color like some of the big brands (a lot of VS Cognac is colored). Camus also uses a greater proportion of Borderies brandies in their blends because they own a significant amount of vineyards in that region. If you want to sip some really old, fantastic Cognac I would recommend Hennessey Paradis. Chris Hannah poured some of this magnificent spirit at Arnaud's French 75 Bar in New Orleans to cap off an evening for me (prior to early morning drinking). Paradis is a blend of brandies up to 100+ years old and is usually one third the price of the more well known Remy Martin Louis XIII Cognac. Have you found a small-producer Cognac you like? If so please share it with us.